Owned by Rockin' The Dots. 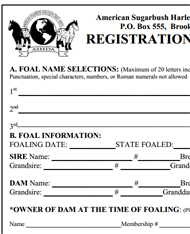 Have a horse with an SDHR or ASHDA registered parent or grandparent? Your horse will qualify for Heritage registry! Heritage is for horses under 50% draft, who have a non-registered/approved parent or a parent from a breed we do not recognize as an outcross. We know that sometimes personal reasons for breeding don't always match up with registry rules, and we'd still like to offer those horses a place in our registry books! 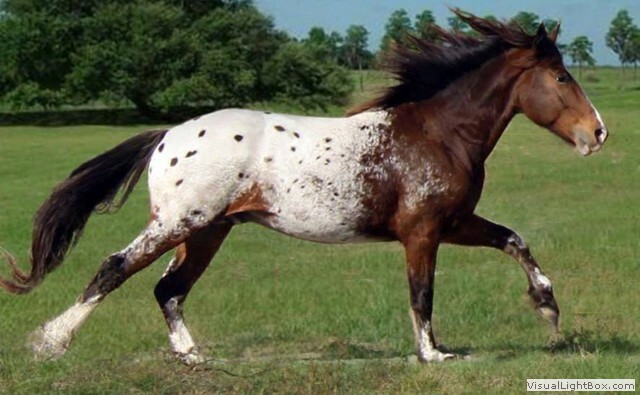 Heritage horses with outstanding conformation and who are genetically clear may even be Approved to cross back into the Main Book, provided they do not carry any undesirable breeds in their pedigrees. Horses descended from registered SDHR and ASHDA (and in certain cases, SSB) horses qualify for Heritage and are designated with an "H" in front of their registration number. Heritage horses have their own competition and participation categories in our Open Show and Saddle Log programs and can collect points and log hours for end the year prizes. If you think you have a horse that may qualify for Heritage registration, please contact the registrar!